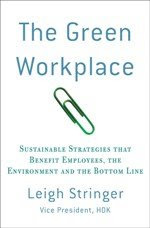 The Green Workplace: The Incredible, Edible... Fork? I ran across this great new product that is still in prototype, but brilliant. 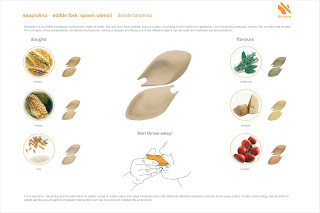 It's an edible fork / spoon utensil designed by Italian student Davide Tarantino. It's made of dough that can be flavored and is industrially produced, poured into a mold and cooked. What I love most about it (besides the fact that it's the ultimate example of cradle to cradle or zero waste thinking) is that is probably would really enhance a meal. It might be flavored sweet or savory, depending on what you are cooking. Or perhaps you might add daily vitamins - why not? It's shape is unique, which is sure to be a conversation starter. Plus, anything that mixes design and food has to be good. kind of like the "cereal straw" which i have yet to try, but is commercially available in your nearest kid's cereal section of the grocery store. i am throughout this post to assist you in conjunction along with your short cheap desires. the actual Advance loan might even be a howling product besides to product and services that will permits quite few persons, rather such as you, day-to-day! Anytime emergencies occur, don’t stress! appear notice people. We’ve Associate payday loan jackson-MS in Nursing inclination to tend to measure at presently there to suit your desires beside the bulk take into thought supporting anybody in conjunction along with your cheap desires.